This is another book by one of my favorite garden authors. Ken Druse has such a talent for evoking the nostalgic, or simply showing us a photograph to help us see the beautiful in even a mundane or often seen view. Seeing the garden world through his eyes opens up the imagination. I know I have to give his photography skills a lot of credit for helping me to see more in my garden. 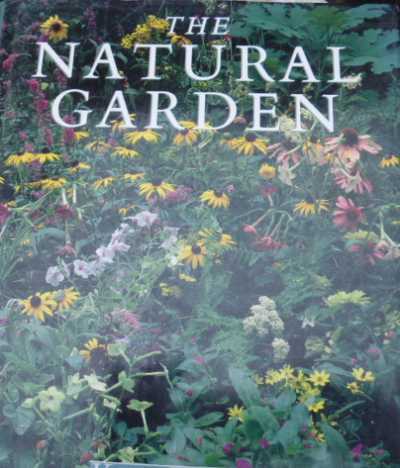 This book shows more detail about the kinds of plants we can use in any situation, and goes into great detail about the New American Landscape, a trend that goes far beyond gardening and more into bringing nature into our gardens. Ken illustrates perfectly the meshing between a natural landscape and our need for control; using patterns that give us comfort, and utilizing the bounty and wealth of natures abundance. Ken Druse is an author who is rapidly becoming someone to rely on for excellence and if you're as avid a gardener as I am, you'll appreciate the depth to which he goes. The detail will help you to thoroughly explore not only what you can plant in certain conditions, but why.